Cabinet Committee on Economic Affairs (CCEA) has approved the umbrella scheme Green Revolution – Krishonnati Yojana for farmers. Now this scheme will continue beyond the 12th five year plan for the duration 2017-18 to 2018-19. This meeting was presided over by PM Narendra Modi who has approved this scheme with central govt. share of Rs. 33,269.976 crore. This scheme consists of 11 Schemes and Missions under a single umbrella. The primary objective is the holistic development of the entire agriculture and allied sector. This umrella scheme is for the welfare of farmers and is a major step towards “Doubling the Farmers Income by 2022”. Central govt. will also also focus on the scientific ways to increase the farmer’s income with increase in production, productivity and better returns. Govt. will continue this scheme with total outlay of Rs. 33,269.976 crore for 3 financial years – 2017-18, 2018-19 and 2019-20. Mission for Integrated Development of Horticulture (MIDH) Rs. 7533.04 crore To promote overall development of horticulture sector, enhance production, improvement in nutritional security along with income support to farm households. National Food Security Mission (NFSM) including National Mission on Oil Seeds and Oil Palm (NMOOP) Rs. 6893.38 crore Increase in production of rice, wheat, pulses, coarse cereals, commercial crops. This will be done by extending the area and enhancement of productivity in the identified districts. It also includes restoration of soil fertility and productivity at individual farm level to increase farm level economy. This will also increase the availability of vegetable oils and will reduce the import of edible oils. National Mission for Sustainable Agriculture (NMSA) Rs. 3980.82 crore To promote sustainable agriculture to focus on agro ecology which includes integrated farming, effective soil health management and resource conservation technology. Submission on Agriculture Extension (SMAE) Rs. 2961.26 crore To achieve food and nutritional security, socio-economic empowerment of farmers, institution level programme planning & implementation mechanism, forge effective linkages and cooperation among various stake-holders, supporting HRD interventions, promotion of innovative use of electronic / print media, inter-personal communication and ICT tools etc. Sub-Mission on Seeds and Planting Material (SMSP) Rs. 920.6 crore to increase quality seed production, increase in SRR, strengthening of seed multiplication chain, promotion of new technologies in seed production, processing, testing. All these activities will strengthen infrastructure for seed production, storage, certification and quality. Sub-Mission on Agricultural Mechanisation (SMAM) Rs. 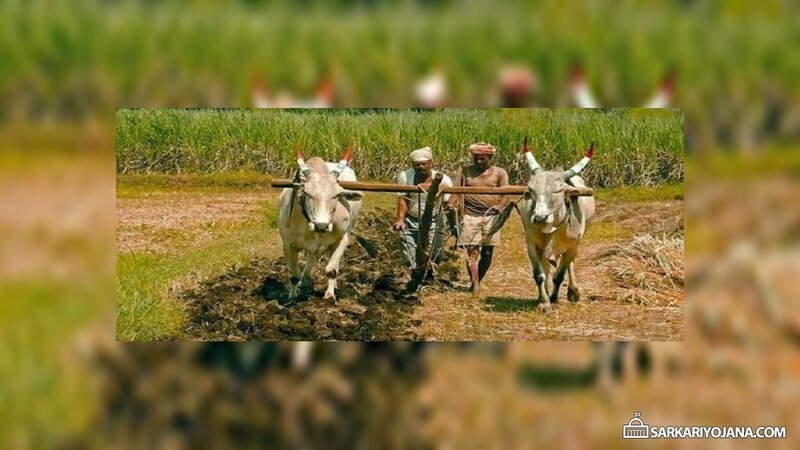 3250 crore Increase in outreach of farm mechanization to small and marginal farmers to ensure adequate power supply, promotion of Custom Hiring Centres to reduce high cost of individual ownership, creation of hubs for hi-tech and high value farm equipment and to ensure performance testing / certification at various designated testing centers. Sub Mission on Plant Protection and Plan Quarantine (SMPPQ) Rs. 1022.67 crore Reduction in quality loss and yield of crops from insect pests, diseases, weeds, nematodes & rodents. The primary objective is to enhance exports of Indian agricultural productions to global markets and to adopt new plant protection strategies. Integrated Scheme on Agriculture Census, Economics and Statistics (ISACES) Rs. 730.58 crore It aims to undertake the agriculture census, studying crop cultivation cost, undertaking research studies on agro-economic problems, improvement in agricultural statistics methodology, creation of hierarchical info. system on crop conditions / production from sowing to harvest. Integrated Scheme on Agricultural Cooperation (ISAC) Rs. 1902.636 crore To provide financial assistance to improve the economic conditions of cooperatives and to speed up – cooperative development in marketing, processing, storage, computerization and weaker section programmes. Integrated Scheme on Agricultural Marketing (ISAM) Rs. 3863.93 crore Development of agri-marketing infrastructure for grading, quality certification, establishment of central marketing info. network, integration of markets through common online platform. National e-Governance Plan (NeGP-A) Rs. 211.06 crore This scheme was to bring service orientation to several programmes, enhancement of reach & impact of extension services, improving access of farmers to info. & services, to build, enhance & integrate the existing ICT initiatives of Centre and States. All the above mentioned schemes focuses on creation of appropriate infrastructure, reducing production cost and also on marketing of agricultural produce. Central govt. is already implementing all these schemes for the past few years. In 2017-18, govt. has decided to merge all these schemes under 1 umbrella scheme which is “Green Revolution – Krishonnati Yojana”. — Central govt. has launched Pradhan Mantri Jan Vikas Karyakram – Restructured Multi-sectoral Development Programme (MsDP). — CCEA has also approved continuation of Pradhan Mantri Swasthya Suraksha Yojana (PMSSY) till FY 2020 to provide quality health care to people. This involves setting up of new AIIMS and upgradation of govt. medical colleges (GMCs). This site is so good for the common persons.